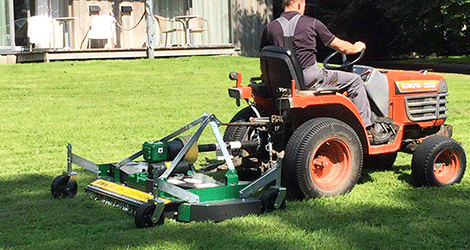 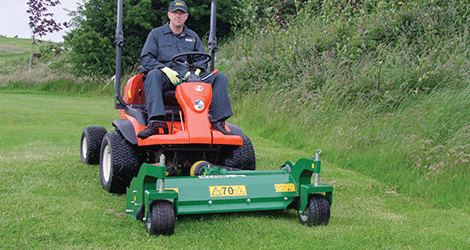 The MAJOR Finishing Mower is suitable for cutting large lawns, estates, parks, golf courses and municipal maintenance. 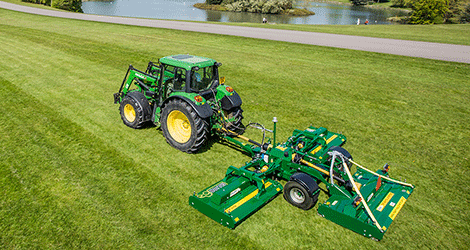 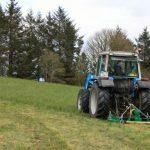 It is easily connected to the tractor’s 3 point linkage to have the machine ready for operation in minutes. 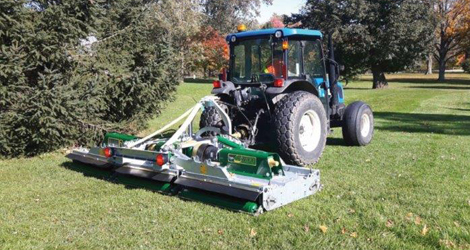 With operator safety paramount on all MAJOR machines, the maintenance points are positioned to the top of the machine to eliminate danger to the operator. 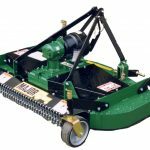 The four castor wheels can be set precisely to prevent scalping and are easily adjusted without the use of tools. 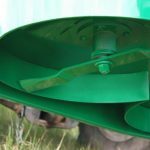 Overlapping blades rotate within individual aerofoils to create a vacuum. 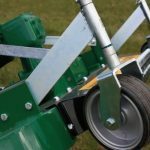 This draws flattened grass to the cutting blade leaving a professional finish.